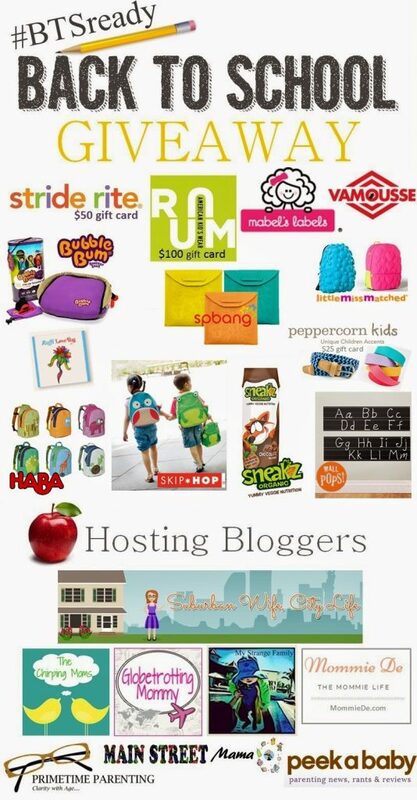 We are thrilled to join some of our favorite bloggers for a BIG Back to School Giveaway. 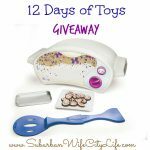 Check out the details and enter below! Here’s a breakdown and brief description of all the items in the giveaway! $50 Stride Rite Gift Card. pair of shoes and Stride Rite knows what little feet need. American’s Kids Ware ranging from birth to size 14Y this company will have you wishing picture day was everyday. The clothes are casual and stylish with quality at it’s finest. -choice of Stylish Scholars Combo or Ultimate Back to School Combo. stuff kids lose.” To read a full review please visit Suburban Wife, City Life. 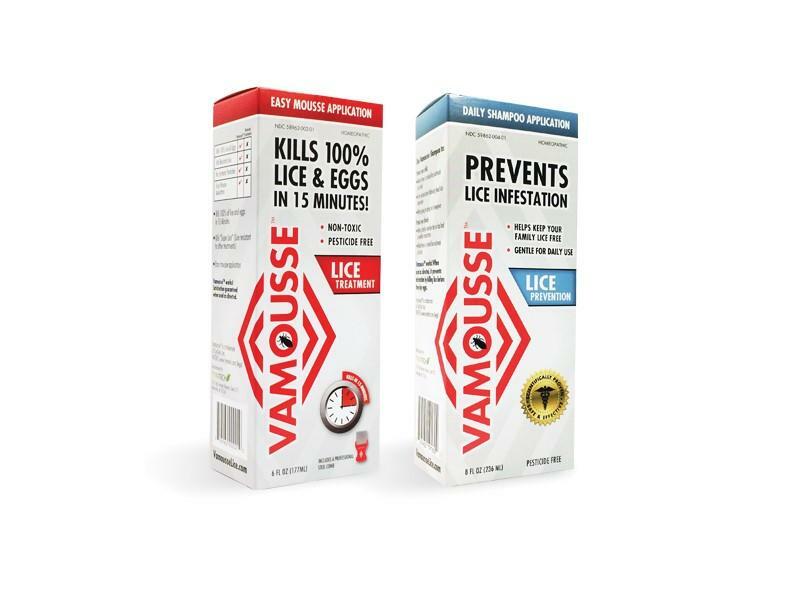 Vamousse -Bottle of Lice Prevention and Lice Treatment. No one likes to talk about these unwanted visitors, but it’s best to be prepared and Vamousse helps to take care of both. These products are non-toxic and pesticide free. Killing the lice in as little at 15 minutes. A great secret weapon to have on hand. 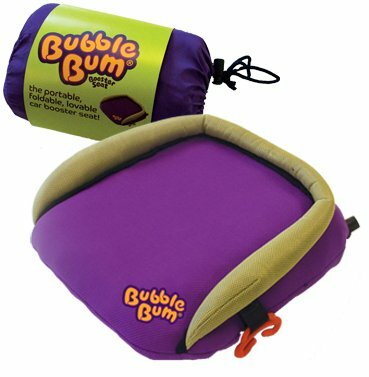 BubbleBum -an inflatable car booster seat. This booster seat is the perfect item to have on hand when your child is going to someone else’s house after school or you’re picking up another child for a play-date after school. 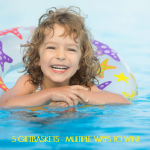 It meets all US safety testing standards and is appropriate for ages 4-11. 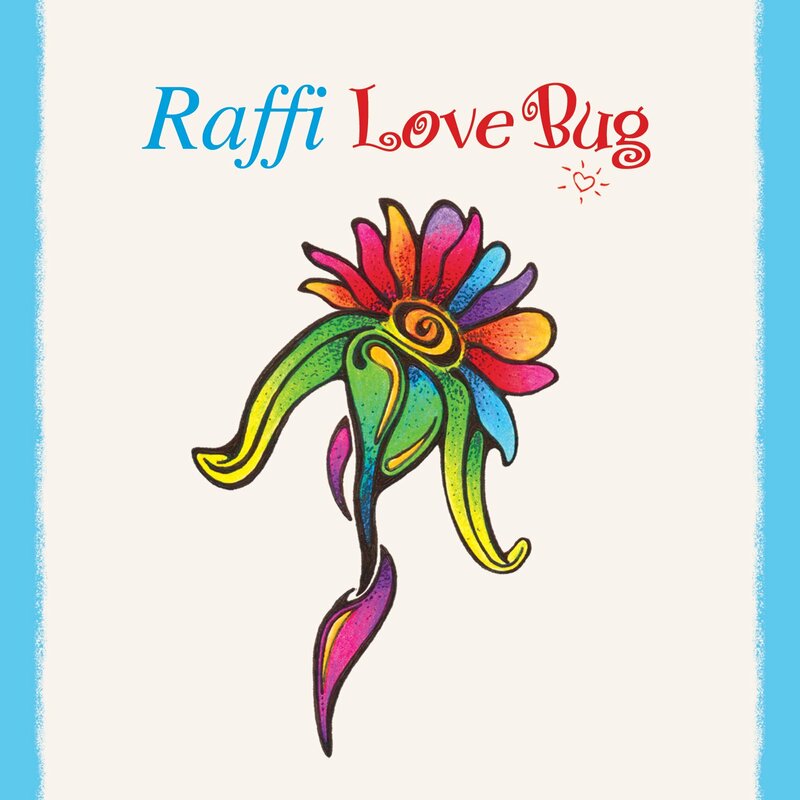 To read a full review please visit Globetrotting Mommy. Spbang – 3 reusable snack bags. This mom invented, made in the USA, lead free, phthalate free, bpa free and food safe bags are going to make packing lunches so easy. To read a full review please visit MommieDE. 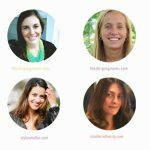 Little MissMatched – backpack of your choice. A new backpack is much more than a place to hold your school supplies, but an expression of your child. These super fun bubble backpacks are not only stylish, but also so roomy! 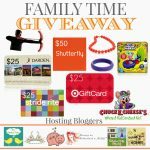 Peppercorn Kids – $25 Gift Card. Whether you wear a uniform or everyday clothes allowing your child to accessorize shows their personality and fashion sense. Adorable hats, ties and bow ties for the little man of the house or a fun hair accessory or necklace for the little lady. Skip-Hop – choice of zoo backpack and insulated lunch bag. Skip-Hop has been creating these adorable animal backpacks for years, and they have some new animals they’ve added to the family. Watching as your little one walks into the classroom is a little easier when they are wearing something so cute and functional. The insulated lunch bag is easy to wipe clean and perfect for on the go. Sneakz Organic – case (12) of Chocolate Milkshake. If you have a picky eater, who loves to drink chocolate milk then you are set! Sneakz Organic combines 4 veggies into a delicious chocolate milkshake making you feel like a sneaky parent! Perfect backpack for both school and exploring. A roomy inside with adjustable straps and chest strap there’s no worry for your little one sliding this off before getting to class. 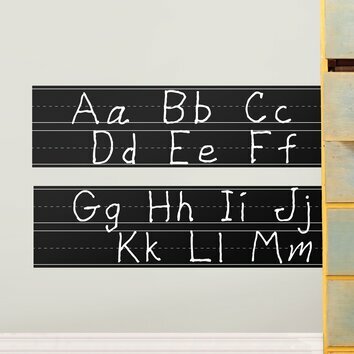 Wall Pops -Learn to Write Chalkboard. You always say don’t write on the wall, but with this we encourage your child to! Wall Pops are easily repositionable and removable. we all know him to be. 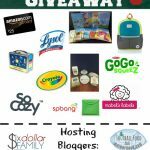 We are so grateful to all of the sponsors who are helping to support this giveaway with over $450 worth of products. This giveaway will run till Friday, August 15th at 11:59pm. My son making new friends. I'm looking forward to all the fun projects Dylan will do in his Kindergarten class and this is Kinley's first year in preschool so she will have tons of fun activities and parties! I'm excited about my daughters going back to school because they grow and learn so much each school year. My daughter is in pre-pre school… a very structured daycare for her age. I'm looking forward to seeing her vocabulary blossom this year! And just her learning and exploring her world!